In an ongoing attempt to keep all our clients up to date and informed on amazing specials and what is new in the travel industry we present to you our latest newsletter. Up to date almost 25% of our newsletter readers have updated their personal information and areas of interest. As we believe it is important to tailor our communication to the customers’ needs we have decided to extend our ‘Update and Win’ raffle for a further two weeks. Update your personal information and areas of interest by 31 May 2013 and you stand a chance to win exciting prizes like a Weekend For Two inclusive of flights from Ndola/Lusaka to Johannesburg and hotel accommodation in Johannesburg. We would also like to take this opportunity to thank those who have already updated their personal contact information and selected their preferred areas of interest. As a result we are now able to provide you with a newsletter and specials that best suit you. For those who have not yet updated there information, please read further to find out how you can do so and the great prizes that can be won in the process. Special for Voyagers® customers for a short break on the finest beaches Africa can offer. From ZMW 5,062.00 per person sharing. The long school holidays are just around the corner and we have a world of fun opportunities to enjoy as a family. At Voyagers® we have a huge range of exciting tours available from Australia to Zanzibar, Disney to Dubai, Surf to Safari and everything in between. 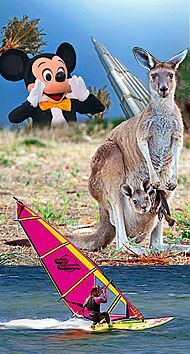 So whatever your aim; family holiday, relaxation, adventure or excitement or simply spending some precious time away together Voyagers® can help. Don’t forget, with direct flights from Lusaka to Durban and Dubai the beach and shops are just one flight away, summer is coming to the Northern hemisphere and many Mediterranean destinations are awesome value at the moment. Whatever the budget or the aim contact enquiries@voyagerszambia.com to make your dream family vacation a reality. 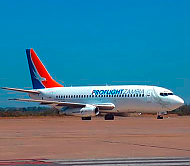 Last week Proflight Zambia took a major strategic step forward towards growth. Previously known as a prop-only fleet airline they have now flown in their first jet, a Boeing B737-200 seating 105 passengers. To start the jet will operate from its base in Lusaka to Livingstone and Ndola.